His lawyer advised him accordingly. The chairman of the Kherson regional council, Vladyslav Manher, who is suspected of organizing the murder of local activist Kateryna Handzyuk, has been summoned to take a lie detector test. However, he and his lawyers decided that he should not, the Kyiv Forensic Research Institute has said, according to UNN. 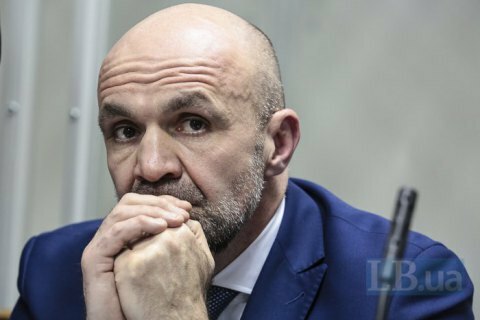 Manher's lawyer Oleksandr Shadrin said that his client did not take a test for procedural reasons, in particular an investigator was allegedly absent. The institute insists the investigator was at his workplace. Kyiv's Shevchenkivskyy district court is considering Manher's appeal for a change of a measure of restraint applied to him. He is suspended from office and has to wear an ankle monitor. However, he is not in custody. Kateryna Handzyuk was attacked with sulfuric acid outside her house in Kherson on 31 July 2018. She died of complications caused by massive chemical burns on 4 November 2018.